As home values continue to rise in the Pacific Northwest, it can be challenging for some buyers to find a home that will work for their needs without breaking the bank. However, you can increase your chances for success by building an affordable home using Adair’s innovative project management system. And, for buyers who qualify, leveraging the USDA loan can help stretch every dollar even further, bringing homeownership within reach for a growing number of customers. Throughout the Pacific Northwest, growing demand for housing has led to a shortage in affordable homes—especially those at or below $250,000. However, Adair is helping to alleviate this problem by offering new-construction homes within these budget-friendly price points, enabling buyers to get the home they want, on their own property, at a price that would otherwise be impossible for a brand-new home. Today, let’s take a closer look at two Adair floorplans that are ideal for buyers looking in the low $200,000s—a challenging range in today’s market. Adair’s architects designed the Ainsworth to be flexible and functional for a wide variety of budget-savvy buyers. The one-story plan is ideal for families with young children or aging parents. 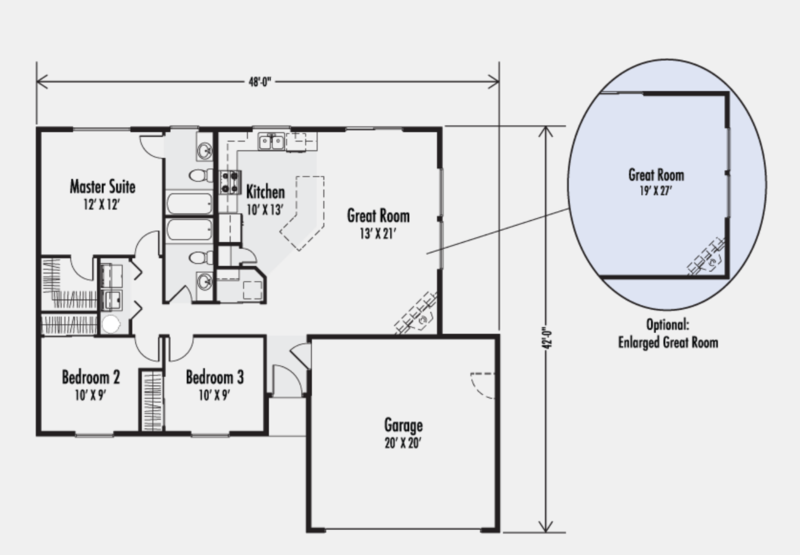 Plus, the home is perfect for a narrow lot, so it can comfortably fit on nearly any property. This spacious, functional room flows right into the dining room and kitchen, creating the perfect common area for young families, empty nesters, and everyone in between. The three bedrooms are nestled together, which feels cozy and comfortable. It’s also meant to provide convenience for families with young children or elderly parents who require frequent care. The classic Ainsworth design can also be upgraded to the Traditions exterior, which includes a charming front porch, beautiful columns, and shutters. 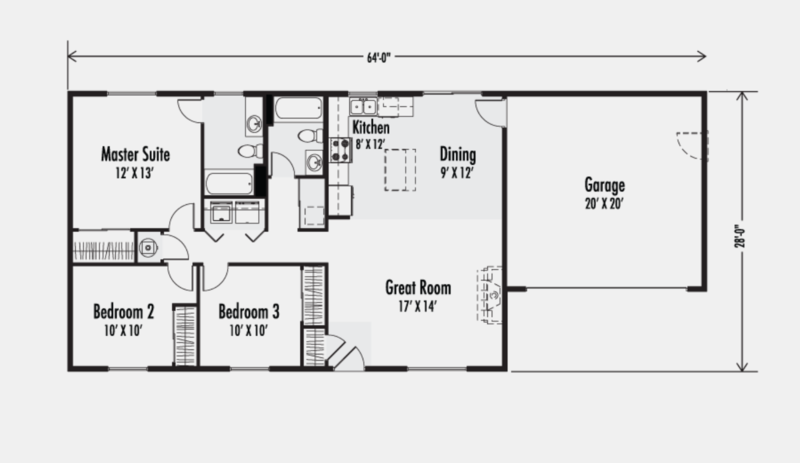 To explore more of the Ainsworth, check out our interactive floorplan and photo gallery. With the Douglas, our professionals worked to create plenty of space within a narrow, relatively small footprint. The one-story design is not only convenient for buyers of all ages, it’s also energy efficient. The result is a home that can easily sit on a small lot and is economical to heat in the winter and cool in the summer. The master bedroom, with en-suite bath, is situated at the back of the home, with bedrooms two and three close by. This design is convenient for young families, as well as those with aging parents, while also providing just enough privacy for everyone. In the common area, a large great room and open-concept kitchen create the perfect space for relaxing and entertaining. 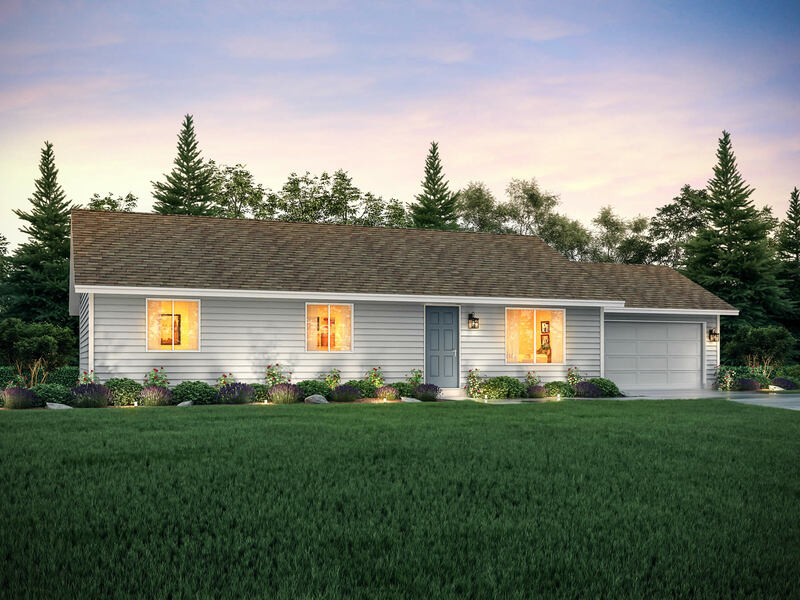 The classic Douglas exterior feels cozy and inviting, or you can upgrade to the Traditions elevation to enhances the charm factor with a roomy front porch, columns, and more. Interested in learning more? View the interactive floorplan and photo gallery for the Douglas. 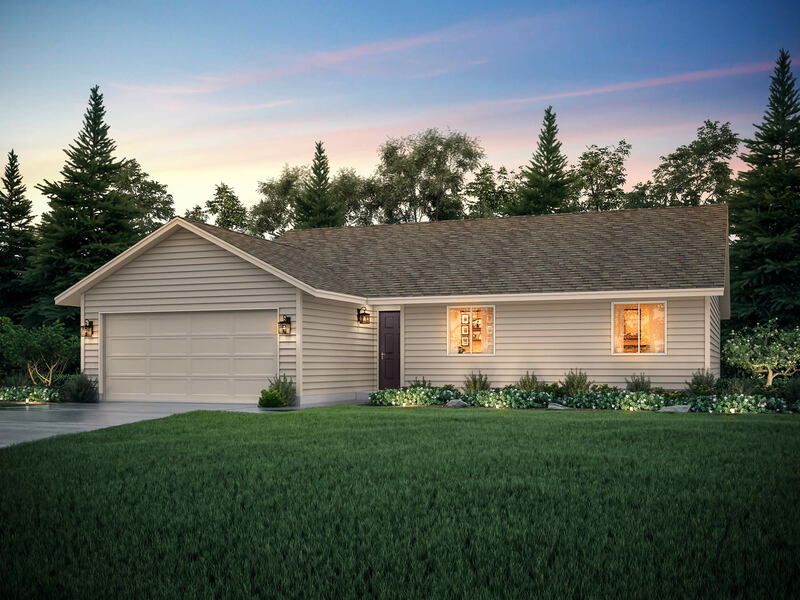 One of the big perks of choosing to build an Adair home is the opportunity to participate in key phases of the homebuilding process in order to save money. You can self-manage certain tasks prior to and during construction, such as providing temporary power and water or graveling the driveway, which reduces the amount of money you’ll spend throughout the process. Adair Homes now offers USDA construction loans, which allow buyers with a lower credit score or less income to build a custom home with no money down. USDA loans are available in most parts of the Pacific Northwest, except within some of the major metropolitan areas, such as Seattle and Portland. The good news is, if you can find a property that qualifies, you can save a significant amount of money and simplify the buying process by selecting one of these budget-friendly loans. Learn more about USDA loans. 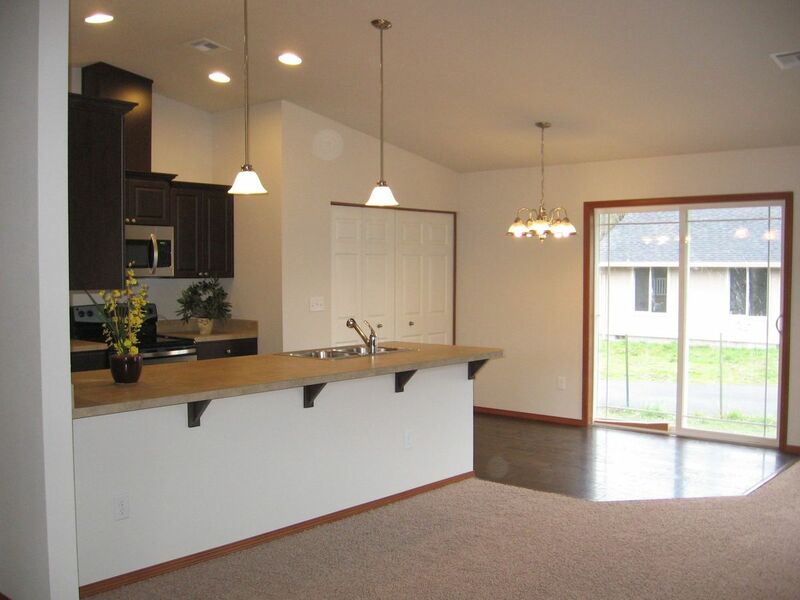 Ready to start looking for your perfect, budget-friendly Adair home? Contact us today.